Fortunee Images, founded in 2013, is dedicated to make available the work of renowned photographer Sami Fortune. 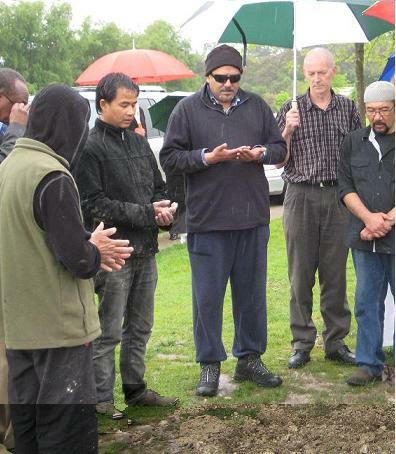 Click here to view his photographs of the Ratiep (or Khalifa) display and a Haddaad gathering. Traditions of the Cape Malays. 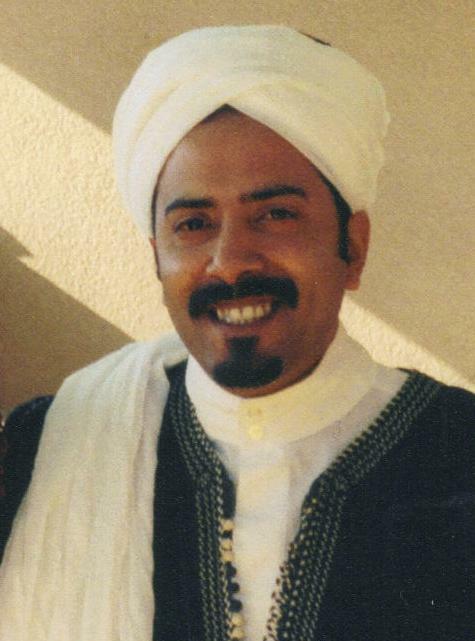 Hadat is the name of a dthikr (mantra or repetition of the names of God or phrases refecting Tawheed, (the oneness of God), the practice originates from a Yemeni Imam Hadad, who I believed lived in the 15th century in the Hadramut. It is probable that through traders going to Indonesia the dthikr practice travelled with and eventually arrived with the Cape Muslims, who were brought as Political prisoners and or slaves in the 17th century, a punishment for resisting Dutch colonialism. 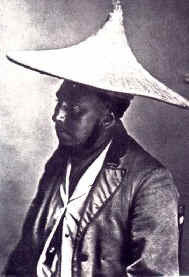 The Khalifa or Rifi’i also developed during the time of slavery in South Africa and had several purposes. For the untrained eye and mind one might be quick to come to horrific conclusions about its purpose. However I assure you they are completely unfounded. Rifi’i allowed the slaves to maintain there martial arts, known in S.E Asia as Silat, in a dance form. It was also a way in which Islam could be prothletised in a visual form at a time when slaves spoke different languages and conversion to Islam was illegal on pain of death (see statutes of India). Rifi’i became an entertainment but it was also a way in which participants could show that if they had enough faith in the oneness of God the participant could overcome anything, even a sharp sword or dangerous tool which when striking themselves with would draw no blood. The rythem of the drumming and “music” that was created allowed the slaves to practice there dthikr as a way of preserving part of their religion which was practiced in secret .) 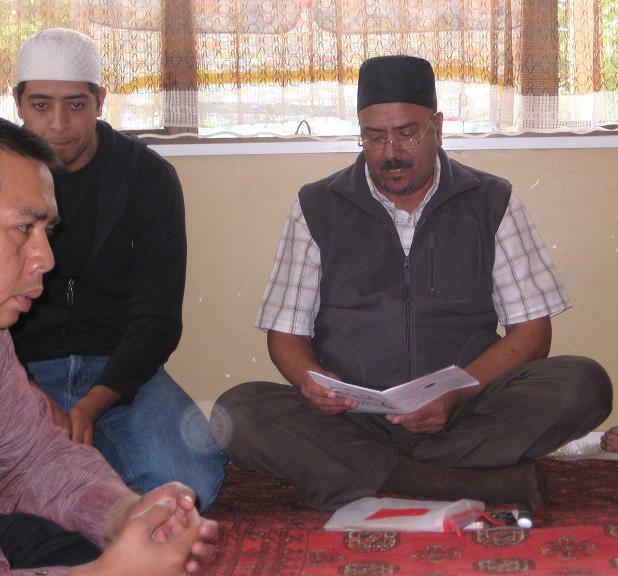 Disappearing quickly in some cities in South Africa there is increasing tension between newer scholars who see it as a bidah (religious innovation) and the traditionalists. The argument they present is if a bidah a practice involves verses of the Quran or a form of dthikr that was not practiced during the time of the Prophet S.A.W. 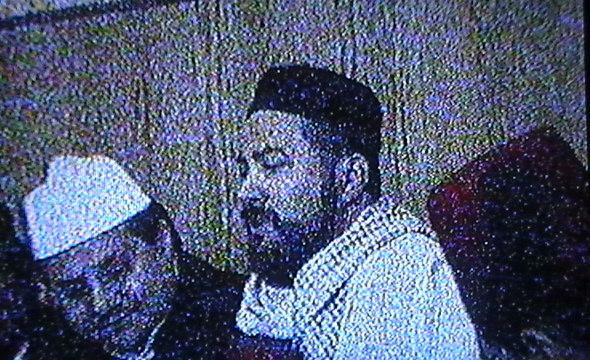 True some texts of chanting during the rifi’i shown to me seemed quite questionable with regards to some Islamic principles, but there is now an effort to clean up the few but significant errors and amongst the traditionalists the Rifi’i continues as a living tradition. The Rifi’i is a testimony of the troubled times of slavery and the difficulties of preserving Islam and allowing it to survive even if the methods seemed a little unorthodox. It must be remembered that very few of the Muslims brought to South Africa hundreds of years ago understood Arabic or what they were saying during these practices and so in a way some kind of language corruption was bound to happen The traditionalists in the wake of the clean up still consider the ceremony as a tradition and not a form of worship, but a miracle and proof of belief. In fact the fact that Islam survived at all in South Africa for so long and often in secret may in fact be considered a miracle in itself. It should be noted however very few people have problems with the Hadat and this is general accepted across all opinions and thoughts in the Islamic community of South Africa. Slave Symposium Presentation At Stellenbosch University on 1 December 2008, by Natanja Greeff. The main purpose and aim of this presentation is to set out the organisational structure of Matthias Greeff so that one can see his slaves in their proper context. Ideally one would construct an organisational chart that set out the various branches of his business organisation, together with the staff members who were employed in each branch or department, while also depicting various levels of managerial staff. I am grateful to Francois Greeff in London for his insights into the life of Matthias Greeff. Francois holds a masters degree in Corporate Governance. It is he who conceived the idea of examining Matthias’ organisational structure and he started applying the methods of accounting and financial audit to the records describing Matthias’ income, expenditure, and assets. It was Francois who saw Matthias’ slaves as assets on a balance sheet, and he tracked the path of these assets as they were described in different documents. Comparison of the estate inventories to the opgaafrollen reveal other discrepancies too, and the result is that I have learned to check very carefully before I accept opgaaf data as truth. Matthias bought his slaves at rock bottom prices from the importers and wholesalers, and generally paid about 50 Rix dollars for a slave. All of these slaves were between 17 and 30 years old when Matthias bought them, and cost between 50 and 113 Rixdollars. Matthias tended to buy a group of slaves at a time, as though he needed labour for some new project or business expansion. Matthias, as far as I know, never sold a slave, except in the case of Domingo, who bought his own freedom. This of course raises the question of whether Dominga was the wife of Domingo, and whether she went with him, or whether he perhaps bought his freedom in order to rid himself of an unwanted wife! I so often wish that I knew more about the skills each slave had so that one could match the slaves to a position or job in the business structure. I regret that I know so little about these people. I hope that I have been able to show that Matthias Greeff had very wide interests and skills, and that his organisational structure was as complex as that of a rich man in our century. employed the family, 3 or 4 knegte and about 20 slaves at any one time. It is important to realise that any business that has 20 or 30 staff members, then or now, is a pretty big business. I hope that I have been able to show that slaves were a part, an essential part, of AN ORGANISATION. These slaves were more than mere farm labour. Some of them must have had special skills and responsibilities so that they could, for example, drive a wagon, lead the team of people that attended the wagon, deliver goods and collect payment for goods delivered. Above all, I hope that this view of the context in which Matthias’ slaves operated has been useful in allowing us to better understand the role of Cape slaves generally. I have a great deal of work ahead of me in the quest to learn more about my ancestors and the details of their lives, but I have very much enjoyed showing you what I have discovered so far. Matthias’ slaves are also ‘hidden slaves’ because they never appear in one document, all at one go. The only way to get a picture of them is by extracting information from many separate sources and then to create a master list of slaves by amalgamating the bits thus collected. The same process applies to knegte, and it is when the knegte and slaves are viewed together that one really gets an idea of the scope of Matthias’ organisational structure. My first insight into the scope of Matthias’ business activities came from the inventory of his deceased estate. Here is a diagram that was constructed from the inventory. Like many South Africans, people described in some situations as “Cape Malay” are often the descendants of people from many continents and religions. As much as the Cape Malay identity is a definition of an ethnic group, it can be considered as the product of a set of histories and communities. Since many Cape Malay people have found their Muslim identity to be more salient than their “Malay” ancestry, people in one situation have been described as “Cape Malay”, and in another as “Cape Muslim” by people both inside and outside of the community. The “Cape Malay” identity was also a subcategory of the “Coloured” category, in the terms of the apartheid-era government’s classifications of ethnicity. From the early 1970s to the present, some members of this community – particularly those with a political allegiance to broader liberation movements in South Africa – have identified as “black” in the terms of the Black Consciousness Movement. People in the Cape Malay community generally speak mostly Afrikaans but also English, or a local dialect of both. They no longer speak the Malay languages and other languages which their ancestors used, although various Malay words and phrases are still employed in daily usage. The community’s strict culture and traditions of Halaal food have also left an impact that is still felt to this day. Adaptations of traditional foods such as bredie, bobotie, sosaties and koeksisters are staples in many South African homes. Muslims will generally not attend any function where alcohol is present. (A Cape Malay engagement would mark a private ceremony where the prospective in-laws come to ask the father of the girl for [pre-marital] visiting rights before a marriage date is set. On the day of the wedding the bridegroom and the respective fathers, accompanied by other male relatives, head to mosque where the bridegroom now asks to be married upon an agreed dowry [which may include some of the prized contents of the bride’s living quarters]. The father of the bride will accept the arrangement in the presence of witnesses before the ritual begins. While this is happening, the bride and her wedding party will get ready for the groom’s arrival and the placing of the wedding band on her finger. 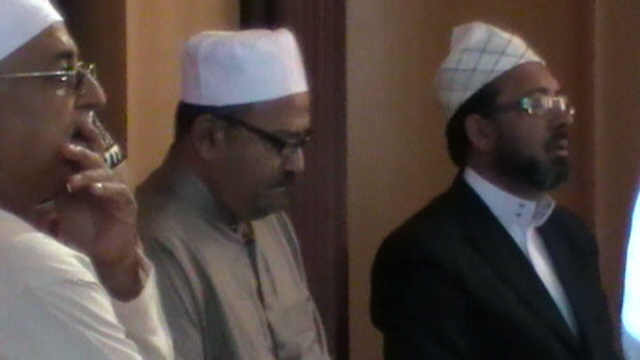 From left: Hadji Abdullah Abader, M. Tahir Farrath and Shaykh Shamiel Pandie witnessing the Wedding ceremony at Masjid-ut-Taqwa (P.E.). A Doepmaal or Doopmal (name-giving ceremony and Feast) isusually held in the parents’ home seven days after the birth of each child. Boys are often circumcised before the Doepmal. 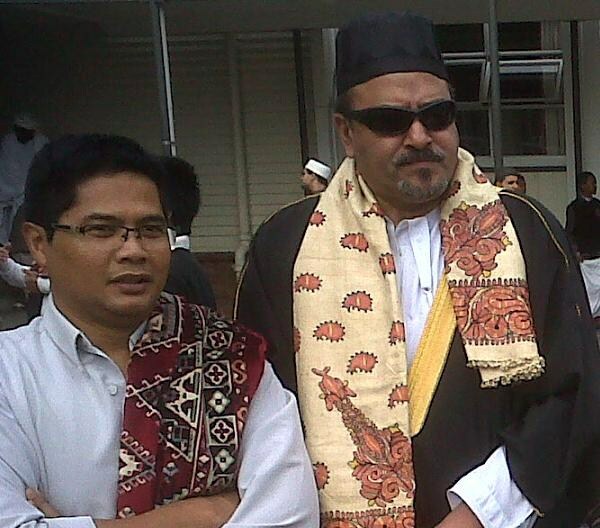 This cultural group developed a characteristic ‘Cape Malay’ music. An interesting secular folk song type, of Dutch origin, is termed the nederlandslied. The language and musical style of this genre reflects the history of South African slavery; it is often described and perceived as ‘sad’ and ’emotional’ in content and context. The nederlandslied shows the influence of the Arabesque (ornamented) style of singing. This style (sometimes sung along with the banjo, percussion drums [Gomma], tamborines [Rebanna] and flute, etc.) is unique in South Africa, Africa and probably in the world. Active dancing to musical beats is frowned upon in Islam. Qasidas and Solawaat songs are also very popular. The Hājah is one of the names given to a customary religious ceremony whereby specific chapters of the holy Qur’ān are recited, praises of Allah and His messenger, Prophet Muhammad(pbuh) are rendered, the Riwāyāt (historical narrations) of ‘al-Barzanjī and the ‘Ashraqal are recited and concluded with a supplication for mercy and forgiveness (Du`ā’ Khatam ‘al-Qur’ān).Some of the other names given to this ceremony are the werk – the Afrikaans translation of the Arabic word `amal which means good deeds and ‘arwāḥ meaning spirits (of the deceased persons). This probably pertains to the fact that in the final supplication, special emphasis is made upon supplicating on behalf of deceased persons. – salutations on the Prophet Muhammad (pbuh), his family and companions. Part 1: Haajaat – Arwaah by M. Tahir Farrath – YouTube Video. In some cases, it can be a unique handpicked compilation of various sections of the Riwāyāt Sūrāt. – finally the ‘Ashraqal and concluded with a supplication (du`ā’). 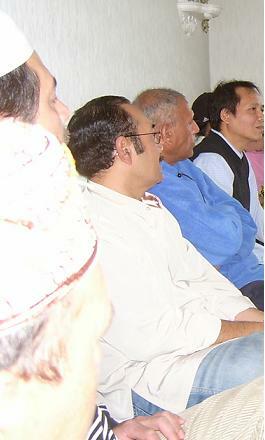 M. Tahir Farrath in Qiraat. Maulid Sharaf ‘al-‘Anām : The Maulid Sharaf ‘al-‘Anām is a text with narrations and poetry about the birth and life of the Prophet of Islām. The poetry was written by an `Irāqi scholar by the name of al-Bukhārī (not to be confused with the famous eighth century Hadīth scholar). In the Cape, Maulid Sharaf al-‘Anām has been reserved by local Muslims for the commemoration of the birthday (Maulūd) of the Prophet Muhammad (pbuh) and will be recited in the month of Rabī` al-Auw-wal. Rampie-sny is also set aside by the Muslim women for this day. Maulid al-Barzanji : This text is also about the life of the Prophet Muhammad (pbuh) written by ‘Abū Ja`far ‘al-Barzanji, a fourteenth century Islamic poet who hailed from the island of Zanzibar. Qasīdat ‘al-Burdah : The Qasīdah Burdah was written in the 13th century by the well-known scholar and poet, Sharāf ‘al-Dīn al-Busīrī who hails from Mamluke, Egypt. Du`ā’ Khatam ‘al-Qur’ān : This translates as the supplication for concluding the recitation of the entire Qur’ān and forms the first and last part of the Riwāyat Sūrat. The religious ceremony includes the recitation of specific verses from the Holy Qur’ān, the recitation of the ‘Asmā al-Husnā (99 names of Allāh), salutations on the Prophet Muhammad (pbuh), his family and his companions, a part of the Qasīdat al-Burdah, a part of the Maulūd of Barzanji, finally the ‘Ashraqal and concluded with Du`ā’. `Aqīdat ‘al-`awām : The `Aqīdat ‘al-`awām translates as the belief system of the general public. This text summarizes the basic tenets of Islāmic belief in poetry form. ‘At-tadhkīr li shahr-Ramadān : Besides Maulūd, Dhikr and `Aqīdah the Riwāyat Sūrat also consists of specific ‘adhkār (remembrance of Allah) for the month of Ramadān. Rātib ‘al-Haddād : The Rātib ‘al-Had-dād is literally translated as the ompilations of the blacksmith. This is a set of ‘adhkār (remembrance of Allah) compiled from authentic sources by the Sūfi Shaykh`Abd Al-lāh ibn `Alawiyy ‘al-Had-dād . 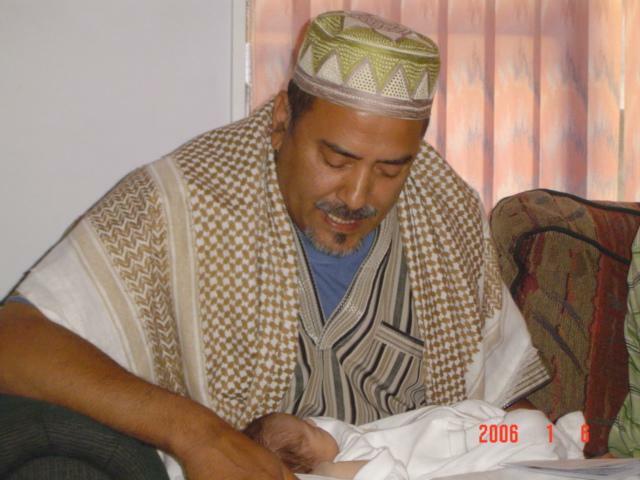 The Shaykh is from the `Alawiy-yah Sūfi order and hails from Hadramaut in Yemen. The Rātib ‘al-Had-dād or Ḥad-dād as it is sometimes referred to, is not the same as a Ḥājah even though specific sections of the Ḥājah have been incorporated into it, especially the first part. The first part of the Ḥājah has locally been incorporated into most forms of dhikr, be it a Maulūd, Qādarī or even a Rātib ‘ar-Rifā`ī (locally known as “Ratiep”). This is locally referred to as a voor-werk (lead-in), which serves as an introduction to the actual dhikr. This is probably the reason why some of the local Muslims have used the word Ḥaddād synonymous with the word Hājah. ‘Ratiep’ is a ritual performed by certain Muslim sects to demonstrate the faith in the patron saint to unbelievers by striking their body with swords and other sharp instruments. The letting of blood is rare, and quickly attended to by the officiating ‘Galiefa’, the head of the Ratiep troupe who closes the wound and stops the blood whilst reciting verses from the Koran. Here participants perform under the watchful eye of the presiding Galiefa at a family function in a backyard. The performance is accompanied by ‘labana’ drumming and the singing in chorus by the audience of verses sung by the Galiefa. Annually, on Easter weekends, thousands of Muslim families gather in the vicinity of Sheikh Yusuf’s tomb and the graves of his followers at Faure to pray (which is frowned by other Muslims) and be entertained by performances by different ‘Riefaai Jama’as’ Retieb groups. Dukums or “Doekoem werk” can be traced back to the days of slavery. When people are unable to make sense of their circumstances, they seek spiritual assistance. The words ‘dukum’ or ‘doekum’ is in fact a mispronunciation of a word and tradition, ‘Dukun’, which is still a major undercurrent of life in a number of islands in the Indonesian archipelago, writes local researcher, Yusuf Kamedien. Furthermore, a common treatment is to chant a prayer over a glass of water that is then given to the client to drink. Sometimes a rajah (a mystical script) is written on paper to wear or dissolved in a bottle for consumption or burnt. Some Dukoems believe that their spiritual powers are a gift from God while others say their skills were taught to them by spirits whom they continue to consult for advice on the diagnosis and treatment. Dukuns live modestly and are neither rich nor poor but have enough with which to survive. Muslim faith-healers apply Islamic aspects to healing that do not warrant it being categorised as shamanism or resembling the sangoma of Africa. The use of traditional remedies and herbs is the practice of herbalism as alternative medication, which is far from being magical. These are often labels given to suit by people who are not familiar with a culture other than their own.